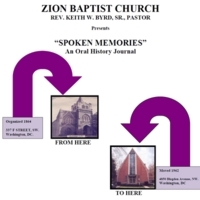 In 2009, the Zion Baptist Church of Washington, DC produced a transcript of 46 oral histories. Church members and pastors representing 80 years of the institution's history (1929-2009) served as narrators. The topics covered include: personal backgrounds, faith, memories of church life, and Zion's role in the history of Washington, DC. The document comprises 223 pages and is organized into pastor interviews at the beginning followed by member interviews. 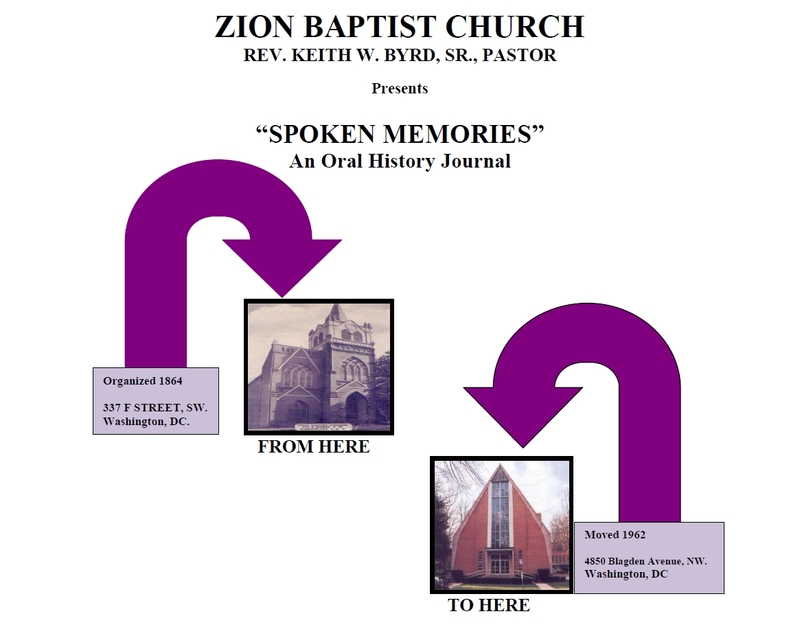 Zion Baptist Church Oral History Interviewers and Narrators et al., “Zion Baptist Church Presents "Spoken Memories": An Oral History Journal,” DC Digital Museum, accessed April 22, 2019, https://wdchumanities.org/dcdm/items/show/1421.